For some time, political philosophy has, even to save its own integrity, needed to rediscover the classical tradition as a basis for understanding the place of politics within the human enterprise. Largely through the work of Leo Strauss, Hannah Arendt, Jacques Maritain, and Eric Voegelin, this has been accomplished, at least for those with eyes to see. But in recovering the classics—Plato, Aristotle, Thucydides, Xenophon, Cicero—there has been an embarrassed, unsettling silence about the place of revelation, of the Old and New Testaments especially, and also of Islam. Political philosophy in the modern era has believed it could be sufficient unto itself so that it was not even open to a hint of any intelligence not reduced to exclusively rationalist confines. The result was, since religion continued to be and even in many ways increased being a major factor in human affairs, in the lives of most men, in most places, and in most eras, an incapacity of political philosophy and those formally trained in it to account for the way men really act and why. Political theorists tried to explain human action in categories drawn exclusively from an understanding of man as abstracted from transcendent realities and considerations. This ironically resulted in a view of religion that described its motivations and institutions as “political” and thereby prevented any adequate comprehension of why men really acted in major areas of their lives. The narrowness of such modern political philosophy forced the Straussians and the Voegelinians, as the major proponents of the revival of the classics, to treat revelation with extreme care, if not actually in secret writing. No one wanted to “scandalize,” as it were, the academic moderns by appearing to take revelation too seriously, even when it was clear that faith must be taken into account if political philosophy itself were to understand even itself and its own intrinsic limits. Athens, Jerusalem, Rome—even Mecca, as Strauss recognized—loomed in the background of a discipline that prided itself on imitating modern natural science. The endeavor of being like unto science, however, did not reckon, as Stanley Jaki has shown, with the relation of this same science to the doctrines of creation and finite essence, doctrines, theological or philosophical, refined within the tradition of revelation. Modern political philosophy, consequently, has not known how to broach revelation as an intrinsic element to its own integrity, to its own understanding of itself within Western intellectual experience. The “modern project,” as Strauss called it, was simply to rid ourselves of revelation, to lower our sights, in order to erect a society according to norms which man could make “for himself,” on the grounds that only what man could know of his own power was worthy to exist in the first place. The only trouble was that the elevated goals of the Christian tradition did not cease to lure the modern political thinker even when the faith that originated and sustained them disappeared. The fruitless effort to find a “natural” substitute for supernatural motivations is, in one sense, what the “left” is about in modern political experience, both its rationale and its terrible danger. The merit of Shakespeare as Political Thinker, and it is an inestimable merit, is to have discovered, almost from outside of political theory itself—though the relation of art to politics is, as Charles N.R. McCoy reminded us, a basic one—a way to treat legitimately the question of the relation of classical, of medieval, and of modern thought without ignoring or distorting the Judaeo-Christian revelational factor, which itself, as much as the classics, made Western civilization unique and gave truth a further universal, not merely parochial or cultural, claim. This remarkable book lies squarely within the tradition of Leo Strauss in particular. That is to say, it lies within the only academic tradition that is intellectually willing and, more importantly, able to ask what difference Christianity makes to the classics and to modern theory. The Thomist tradition used to be a major factor here, as Strauss recognized, but with the exception of the papacy and a few advanced places like the University of Dallas, from where many of these essays originated, this tradition has largely been abandoned or rejected by believers themselves, who, under the aegis of liberation theology, or ecology, or liberalism, have largely embraced the “modern project” itself, as if the Enlightenment were what religion is now about. This book also represents one of the few remaining avenues by which revelation can begin to be understood even by the intellectual representatives of religion, who no longer understand what they are about in the world of politics. These fifteen essays on Shakespeare, and on how political life appears in his tragedies, comedies, histories, and poems, are the most perceptive and brilliant efforts in recent decades to locate within the Western tradition a way to reintroduce the factor of revelation as an element with which to understand politics, its limits, what lies beneath (the family) and beyond it. The only comparable endeavor, I think, was the neo-Thomist movement of a half a century ago, a movement itself intrinsic to the understanding of the significance of this penetrating book. Shakespeare, however, has the advantage of having lain fallow for so many years, outside the usual ken of political thinkers, so that the abundance of what can grow out of his wisdom is both fresh and almost unlimited. We are not accustomed to reflect upon art as itself a way to comprehend politics, even though we recall that an Aristotle wrote the Poetics and Plato never ceased to worry about Homer. Harry Jaffa’s and Michael Platt’s essays on this relationship are simply remarkable. These essays were in part written for an Intercollegiate Studies Institute Conference at the University of Dallas, in part written for the book itself. They treat the major political works of Shakespeare—his tyrants, best kings, common men, bishops, matrons, and villains. The realization that Shakespeare is as profound as Cicero or Aristotle in political things should come as a surprise to no one. Yet, it is a surprise, as political thinkers have left Shakespeare largely to the literary scholars, just as they have left the Bible largely to the theologians, that is to say, in both cases, to people themselves largely ignorant of political things. Political science, the highest of the practical sciences as Aristotle called it in The Ethics, has in the modern era acted as if its area of reality were meant to narrow itself so that it focused only on the “political,” whereas it was meant, by its own reality, to expand itself so that it could see and account for all there was, even something that came from no known political source. Politics had to be humble enough to leave metaphysics and theology to their practitioners, provided these latter themselves, as Aquinas knew, understood, as politicians do, how most men really are. This is also why there is no Christian political theory without Augustine. human lives take shape from individual propensities responding to the laws of cities. In the plays set within Christian times, Shakespeare’s characters consult not only their native inclinations and laws of their state, but, concurrently, certain transcendent prescriptions decreed by their Scriptural God. To follow Shakespeare’s reflections upon human beings and citizens, one must reflect upon the political consequences of Christian belief. The political subject necessarily embraces the religious subject. 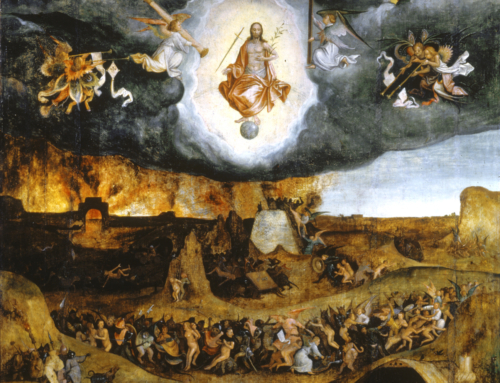 There are two sins mentioned in Richard II: the sin of Adam and the sin of Cain. They seem to be identical, or at least one leads to the other. Knowledge of practical things brings with it awareness that in order for the sacred to become sacred, terrible deeds must be done. Because God does not evidently rule, the founder of justice cannot himself be just. No man is able to perform his task perfectly; in the Biblical tradition within which Shakespeare’s imagination works, all earthly things are flawed and yet all are carriers of something flawless. Shakespeare sees the human enterprise as a series of catastrophes, brought about by the clash of human wills; yet within this turbulent and painful chronicle he testifies to the gradual mysterious growth of the kingdom. Shakespeare shows us that human communities and political regimes exist in order to further what Allen Tate has called the ‘one lost truth that must be perpetually recovered – the supernatural destiny of man.’ It is in the constant rediscovery of shared love—between all sorts and conditions of men—that the true meaning of human history lies concealed. The recovery of “the supernatural destiny of man,” which elites and mystics really seek to understand and to achieve, is alone what prevents these same elites, these choiceful elites, from turning on politics and destroying it by imposing truly transcendent goals among its demands. What is new about our era, as opposed to the Christianity of an Augustine, of an Aquinas, or of a Shakespeare, is that now we actually see Christians themselves betraying their own traditions of political limitations. This, too, is why the testimony of both Jews and Christians actually living under Marxist states goes unheeded in the West. Shakespeare as Political Thinker not only allows us to reintroduce the transcendent into politics, both in their proper place, but it also enables political theory to instruct theology on how to recover its own reality. “But in our age,” Strauss wrote, “it is much less urgent to show that political philosophy is the indispensable handmaid of theology than to show that political philosophy is the rightful queen of the social sciences, the sciences of man and human affairs.” Some twenty years after these remarkable lines were written. I think, this book on Shakespeare suggests, through the supreme dramatic artist of our tradition, that both theology and social sciences are in desperate need of their own handmaid. 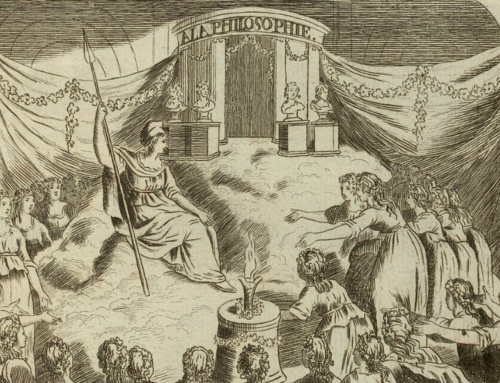 This handmaid is none other than political philosophy now lying within the ken of the religious “subject” who knows that politics produces of itself no everlasting kingdom, even when proposed by “elites,” by “theologizers,” clerical or lay. While we can agree with Strauss that “it is not sufficient for everyone to obey and to listen to the Divine message of the City of Righteousness,” reflection on the political thinking in Shakespeare will also teach us that it is not sufficient to neglect this same Divine message. Republished with gracious permission from Modern Age (Summer/Fall 1982 – Volume 26 Nos. 3-4). Rev. James V. Schall, S.J., is a teacher, writer, and philosopher. Having served as Professor of Political Philosophy in the Department of Government at Georgetown University, Fr. Schall is the author of many books, including The Life of the Mind: On the Joys and Travails of Thinking, Catholicism and Intelligence, and A Line Through the Human Heart: On Sinning and Being Forgiven.